This is the best moisturiser I have ever used. I have used it for about 12 months and I can honestly say my skin has never looked better. A little goes a long way, so it actually lasts quite a long time. Its also very healing, so if you\'ve ever reacted to another product, this really calms things down and puts the moisture back. What can I say! I\'m 50 and have no lines! This is a lovely moisturiser. It\'s perfect for my skin which tends to become very dry and sensitive in the colder weather. It sinks in straight away leaving no oily residue and is a great base under makeup. I suffer from Lupus on my face and this cream is amasing - I would recommend anyone with lupus on their face to use it. Within the first two weeks of using this product I noticed that my dry skin was more nourished,felt less tight and appeared healthier. 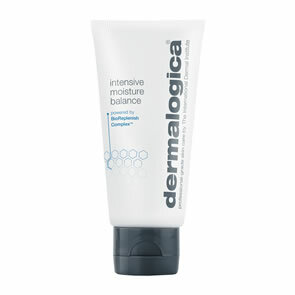 It can be used under make-up..just as long as you give it about 10mins to sink in, or as a rich night cream. I have been using it for over a year now and recommend it to anyone with dry sensitive skin. 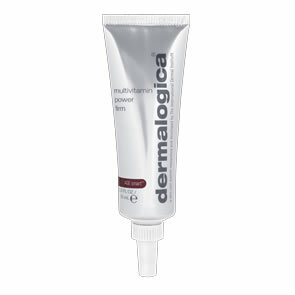 I have been using this product over one year and it still amazes me how wonderful this works on my sensitive & dry skin. It gives a soft feeling with a smooth texture and leaves deep moisture all day long. It is the best moisturiser to use during season changing. I just can\'t live without this moisturiser and I love it!! I have used this product for more than a year now and I convince that this is a 'magic potion'! I have a combination skin and it's been a real challenge to find the right moisturiser especially for the winter/cold dry weather. Some moisturizers are too rich for me which causes breakout and some others are too 'light' for my skin for the dry winter months. After trying a sample of this product from pure beauty, I've decided to get the 100ml bottle and voila! this product has been one of my best friend since! A must have product especially during the winter/cold dry weather! This cream is perfect for the cold season. It gives my skin that little bit of extra moisture needed. It also makes it feel so soft and supple. I am really glad I found it. I have used this product for over 3 years now, extremely Wonderful product. My skin is very dehydrated yet I break out easily, this moisturiser is likemgodmsent as it balances and makes my skin feel comfortable. I have very dry skin, have been using this product for over 6months - I went for a facial last week and the beautician (I always see the same one) told me that my skin seemed softer and in a better condition. Very happy and will keep buying it!